We are your complete automotive service equipment source! 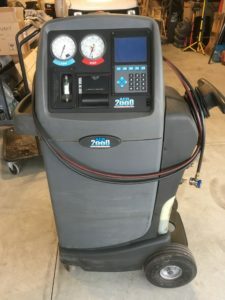 Lifts, AC machines, tire changers, balancers, brake lathes, air compressors — if it’s in your shop, chances are we can fix it! 5 Full-Time Technicians to Serve You Quickly! A/C Season is almost here! Here are just a couple of the used units we have in stock and ready to go. Go to the “used equipment” tab on top for the full list. We also carry new units for both R134a and the new R1234YF refrigerant. We’ve moved our Columbus headquarters! We’re just around the corner from our old facility, so stop out and see us! Personal attention, responsiveness, and integrity are our highest priorities. Our goal is to earn your trust and to be your preferred shop equipment provider for life. That’s the AEW difference! With service centers in Columbus and Cincinnati, AEW can deliver your new equipment and train your service technicians on its proper operation, many times at no additional charge. 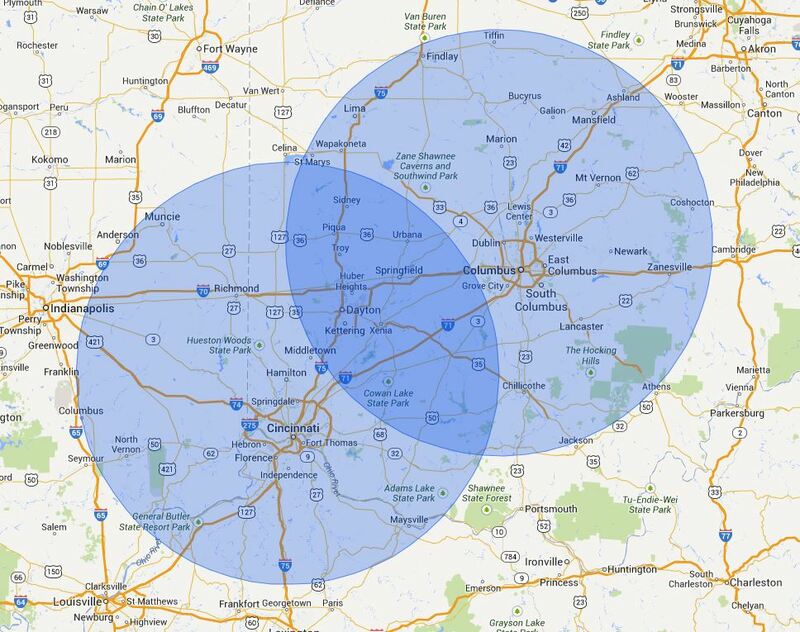 In 2014 we expanded our service area into Southwest Ohio and parts of Southeast Indiana and Northwest Kentucky, and we’re thrilled with the response and grateful for all of the great people and shops in the area that have given us the opportunity to serve them. Thank you! Check out the map below to see our coverage area–if you’re outside these zones, we still may be able to help you, so just give us a call! As a top-tier provider of Robinair service, AEW enjoys the distinction of being one of the few service centers in the nation to have achieved gold status from Robinair. 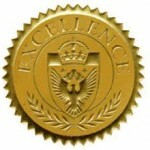 Our responsiveness and peerless customer service has earned us this top designation. Give us a call and find out why we’re one of the nation’s top automotive shop equipment service and sales providers! 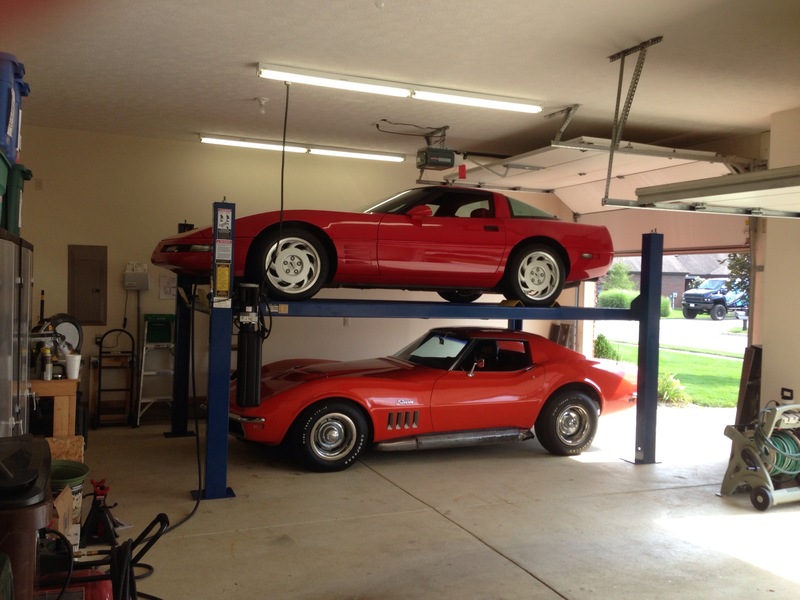 Home storage lifts are hot right now and we have the expertise to help you find the right lift for your garage and vehicles. We handle delivery and installation as well! 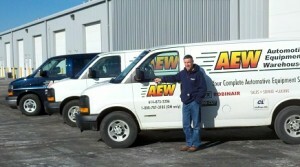 AEW is a Curtis air compressor distributor/service center! Your air compressor is among the most vital pieces of equipment in your shop, so make sure you consider the American-made quality of Curtis compressors! 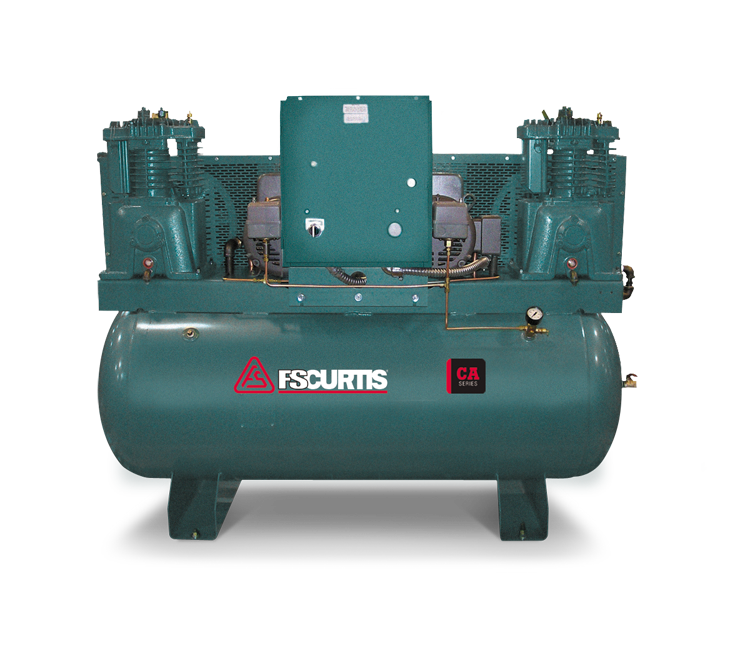 From smaller independent shops to dealership service centers, Curtis has a compressor to meet your needs. And many Curtis compressor models include a 5 year bumper-to-bumper warranty (restrictions apply)! Let us match you with the right compressor at an unbeatable price, and enjoy the peace of mind of knowing that AEW is an authorized Curtis service center! 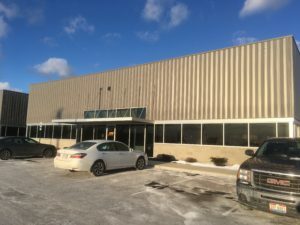 Automotive Equipment Warehouse offers the widest variety of products for your automotive service garage and the finest service in the State of Ohio. Everything we sell and service is of the highest quality and is designed with your bottom line in mind. We also cater to the home enthusiast, whether it be tools, storage lifts, or air compressors. Besides the equipment you see here, we also offer transmission jacks, tool storage, hose reels, oil drains, and many more items you need to serve your customers. 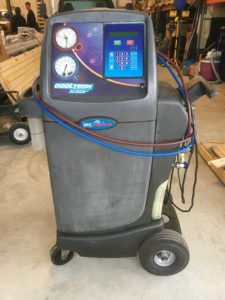 AEW strives to connect our customers with the finest in garage equipment using a no-pressure, customer-centric approach that has made us the leader in our field throughout the state. Customer satisfaction is our #1 priority and we are open to suggestions on how to provide a better service to our valued customers. If you have thoughts that you’d like to share with us please don’t hesitate to call (614) 873-2206 or email us at aew@aewltd.com.